For the twelfth year in a row the Seven Network has claimed the ratings year (5 cities, 6pm-12mn). For the weeks 7 to 48 — covering the period from 11 February to 1 December, and excluding the weeks around Easter and the Commonwealth Games — Seven scored 30.4%, followed by Nine (27.4%), Ten (17.4%), ABC (17.0%) and SBS (7.8%). Seven and SBS were the only two networks to gain on 2017 numbers. Broken down to individual channels: Seven (20.4%) defeated Nine (19.2%), Ten (12.3%), ABC (12.2%), SBS (5.6%), 7mate (4.1%), 7Two (3.7%), 9GO (3.6%), 10 Boss (formerly One) (2.9%), 9Gem and ABC Kids/Comedy (2.7% each), 7Flix and 10 Peach (formerly Eleven) (2.2% each), 9Life (2.0%), ABC News (1.4%), SBS Viceland (1.2%), SBS Food (0.9%), ABC Me (0.7%) and NITV (0.2%). 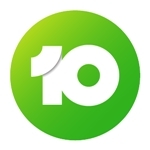 The Seven Network also topped 16-39 and 25-54 age groups, but at individual channel level it was Nine’s primary channel that took out those age brackets. 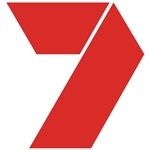 Seven also took out the high-profile battlegrounds of the 6.00pm weeknight timeslot and in breakfast. Seven’s coverage of the AFL Grand Final took out the top two spots for most watched programs of the year, with post-game presentations scoring 2.616 million, and the game itself averaging just a fraction lower on 2.615 million (5 cities). For Nine, the NRL State Of Origin — Match 1 scored 2.347m, followed by the NRL Grand Final (2.141m) and NRL State Of Origin — Match 2 (2.132m). For Network Ten it was a tough year coming out of receivership and starting a rebuild under the CBS umbrella. MasterChef: The Winner Announced (1.316m) topped their year in overnight figures. I’m A Celebrity Get Me Out Of Here started on a high (“Welcome To The Jungle”, 1.111m) but by the time it reached its finale it struggled to hit 900,000. Ten’s press releases talked up increased for regular shows Gogglebox Australia, The Bachelor and Have You Been Paying Attention? ABC’s top rating for the year came from Spicks And Specks Reunion (1.113m) and Jack Irish (913,000) and its Wednesday night line-up also scored well with shows like Gruen, Hard Quiz and Shaun Micallef’s Mad As Hell. Other highlights included imports David Attenborough’s Tasmania and Death In Paradise. 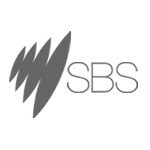 For SBS their top numbers for the year came from the FIFA World Cup (Australia v France, 1.667m, and Denmark v Australia, 1.664m). 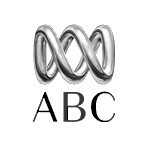 The 2019 ratings year begins on 10 February and continues through to 30 November, with a two-week break over the Easter period. Data © OzTAM Pty Limited 2018. The Data may not be reproduced, published or communicated (electronically or in hard copy) without the prior written consent of OzTAM.